This Visual Studio project illustrates how to generate a QR Code barcode in ASP.NET Core with a .NET Standard/.NET Core DLL. The NETStandardQRCode.dll, available in nuget.org, validates the input data, generates barcode codewords and creates the necessary error correction characters. The following C# snippet illustrates how to use the DLL to generate a QR Code barcode. The purpose of a mask pattern is to make the QR code easier for a QR scanner to read. A 1 represents a black square and a 0 represents a white square. Each row ends with an OS environment newline, "\r\n" for non-Unix platforms or "\n" for Unix platforms. 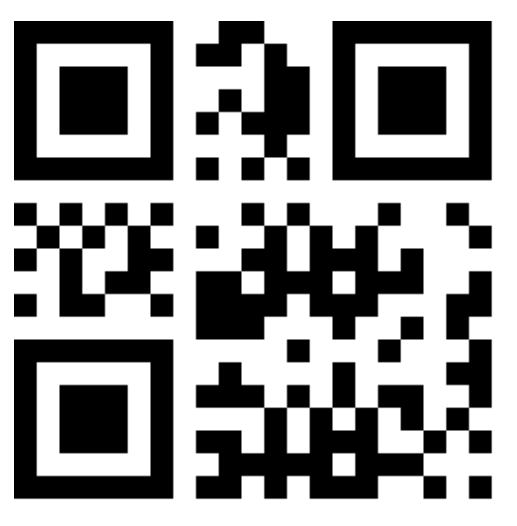 You can use the following function in qrcodecanvas.js to render the barcode onto the Canvas. You will get the following QR Code Barcode that meets the strictest requirements required by the auto-id industry. You can use the Cascading Style Sheets (CSS) @font-face feature to specify an online font (the WOFF QR Code font) for display on web pages. Please refer to site.css for more details. You will get the following QR Code Barcode generated using WOFF Barcode Font (W3C Compliant) that meets the strictest requirements required by the auto-id industry. Please note that though our QR Code Barcode Web Fonts/HTML5 Canvas solution works on many more browsers, we currently only provide technical support for the above-mentioned certified browsers. Download QR Code Barcode package. Back to QR Code Barcode Fonts.